With splashes of red and green, you’ll think Christmas has come early this year. Experience the gift of Red Roses while making the statement: “You matter to me” with the Bianca Half Dozen. What can be better than stumbling upon beautiful roses on a hike? Stumbling upon this arrangement and giving it to someone you care about. 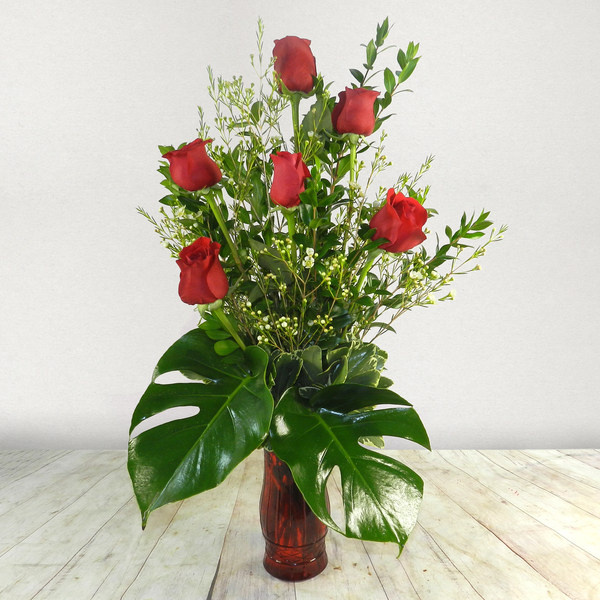 Resting on a bed of lush greens, this arrangement is perfect for those of you looking to make a strong connection with that special someone.